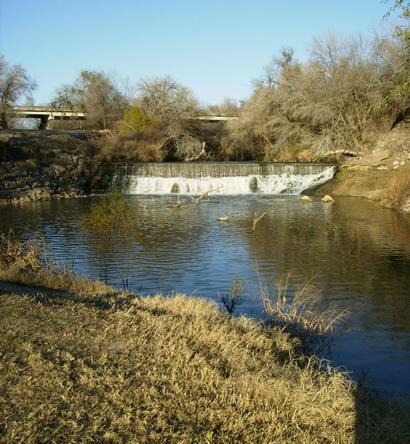 Three Rivers is at the intersection of State Highway 72 and U.S. Highway 281, just south of the junction of the Atascosa and Frio rivers and just north of the junction of the Frio and Nueces rivers. It is nestled between the larger cities of Corpus Christi and San Antonio. With just a short drive about 70 miles down south on US 281 you could be dipping your toes into the sparkling waters of the Gulf of Mexico. On the other hand a drive North just 75 miles on the same highway will take you to the bustling city of San Antonio where you can head up to the Hill Country for some outdoor fun or hit the River Walk downtown. Today Three Rivers is a prosperous community of 1,800, many of whom work at the Three Rivers-Valero Refinery, originally Three Rivers Refinery started in 1933, or the Federal Bureau of Prisons Correctional Institution. City of Three Rivers has implemented Stage 1 of its Drought Contingency Plan. Inside city water schedule is mandatory area 1 & 3 are 1st & 3rd Tuesdays, and Area 2 is 1st & 3rd Thursdays. Outside city water schedule is mandatory area 1 & 3 are 1st & 3rd Tuesdays and Area 2 & 4 is 1st & 3rd Fridays. There is NO Watering from 10 A.M. to 7 P.M.